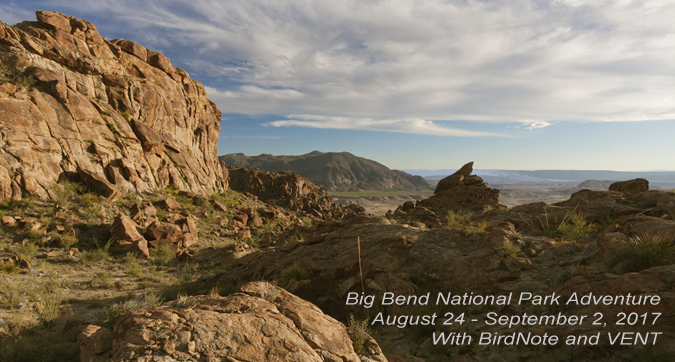 More species of birds have been found in Big Bend than in any other national park. 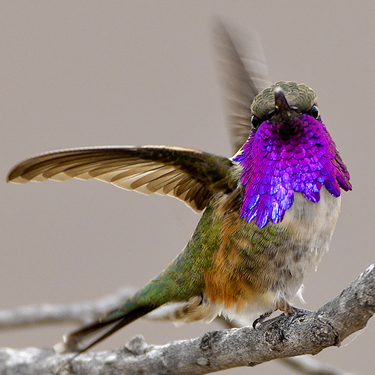 Species of interest include the Zone-tailed Hawk, the tiny Elf Owl, Western Screech-Owl, the stunning Lucifer Hummingbird, plum-colored Varied Buntings, and the Black-chinned Sparrow. En route to Big Bend, we’ll spend two nights at the luxurious Cibolo Creek Ranch near Marfa, Texas, one of the finest and “birdiest” guest lodges in North America. 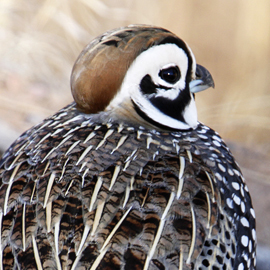 The trip will conclude with a night in the Davis Mountains, a “sky island” ecosystem home to a variety of habitats and birds we will not have previously seen, including the Montezuma Quail. 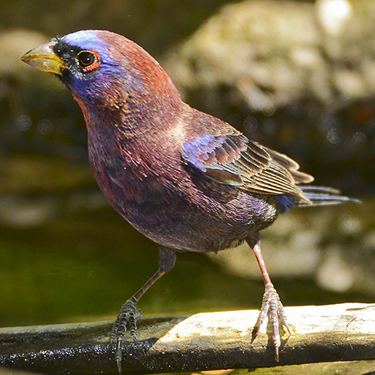 While birds will be of greatest interest to many, this program also emphasizes general natural history including geology, mammal watching, and botany. 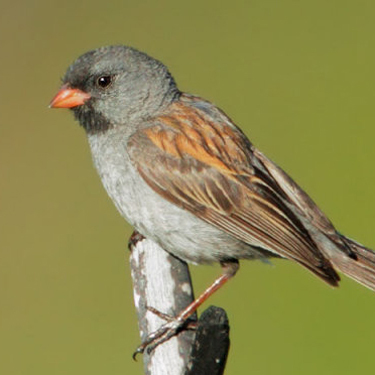 Escorting this trip will be Sallie Bodie, BirdNote managing director, along with Victor Emanuel, and Kitty Coley, both of Victor Emanuel Nature Tours. Learn more about the trip and sign up now. Spaces are limited. Victor Emanuel Nature Tours – VENT – has played a pioneering role in developing ecotourism. 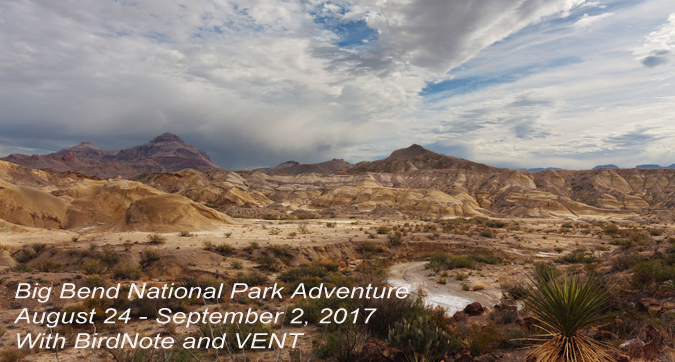 VENT tours utilize local drivers and guides as well as in-country tourism operators. 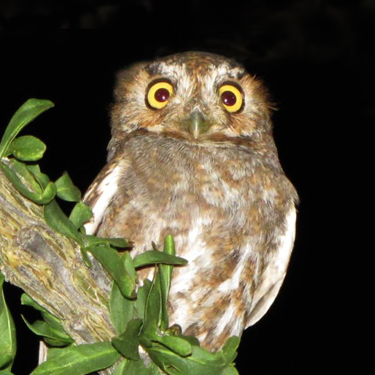 VENT is also a strong advocate of supporting local conservation organizations. Learn more about Victor Emanuel Nature Tours. 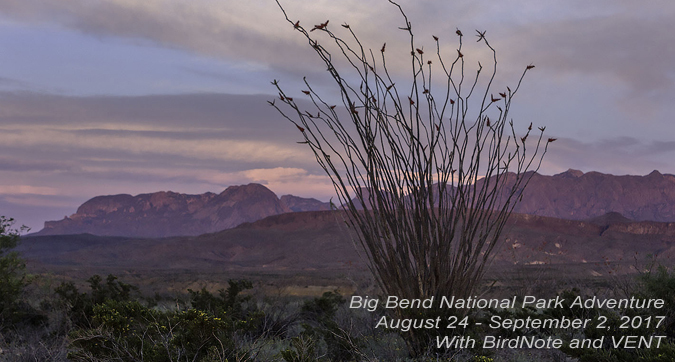 A portion of the trip fee (not tax-deductible) goes to support BirdNote programming.